"I'm alright, you're alright, everybody’s alright.” Trey was presumably alright when he wrote this wacky tune around the beginning of 1985, even if he wasn’t yet an alumnus of anything, save high school. In fact, Trey couldn’t “officially” sing this song until the 7/11/88 version, an excellent rendition that was performed to commemorate Trey’s graduation from Goddard. “Alumni” is the quintessential early-days Phish tune that fans today ache to hear. It was a common, signature song for the guys during “the hungry years,” dotting numerous setlists for shows through 1989. In 1990, frequency dropped off markedly, and though a few more versions were performed the following year (most notably on the summer horn tour), the song basically disappeared. At this point, Phish was no longer a quartet of college students or even recent college graduates. By 1991 they had graduated to another level, that of fast growing, successful and accomplished touring band. Since 1991, “Alumni” has only walked across the stage a few times. Notwithstanding a tease during the 11/28/92 “Tweezer,” the song didn’t show up again until the fun 4/15/94 show, at which a single verse of the tune emanated from “Wolfman’s” into “I Wanna Be Like You” (though the 4/4/94 "Wolfman's" contains an "Alumni" jam) That fall tour, the presence of horns at some west coast shows must have brought the guys back to the days of summer 1991, as the 12/3/94 San Jose show boasted an “Alumni” jam, although no lyrics were sung. Fast forward another five years for the next appearance, this time on Trey’s solo tour stop in Madison on 5/8/99. The song was performed as a dedication to the student friends of Trey’s brother-in-law that cut classes to see the show. 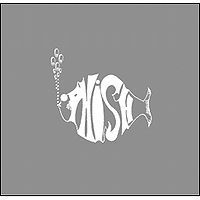 The next Phish appearance came later that year in Alpine Valley at the crazy 7/24/99 show that also featured a 31-minute “Fluffhead” and a blistery “Camel Walk.” "Alumni" fans would have to wait nearly eleven years for the next version, but were finally rewarded when it opened the 6/25/10 Camden show and was paired with its longtime companion "Letter to Jimmy Page" for the first time since 7/18/91. “Alumni” has several other aspects of interest, two of which concern Phish’s White Tape. The final track on that early demo, the aforementioned “Letter to Jimmy Page,” has almost always shown up as a bridge inside “Alumni.” Trey wrote and recorded “Jimmy Page,” playing all the instruments himself, as homage to one of his guitar heroes. In live performances, “Jimmy Page” has appeared in “Alumni” pretty much since the beginning, with strange and notable exceptions (e.g. 10/15/86 and 7/24/99). Also, on the version of the White Tape that circulated before the album was officially released, a mysterious track called “Steve Reich” was always listed after “Alumni,” consisting of only marimbas and nature noises and ending in a tumultuous car crash. On the official release, this track was not listed, though it is still present, sharing a track index with “Alumni.” Finally, those seeking a PhD in "Alumni" may be interested in tracking down one of the handful of versions that contain additional lyrics: 12/10/88, 1/26/89, 2/7/89, 3/3/89, 3/12/89 and 4/6/90. 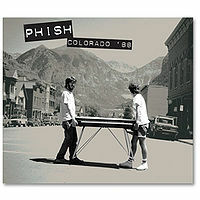 “Alumni” has never varied much from the standard delivery, though some standout and curious versions include 10/17/85 (with Mike solo), 10/15/86, 2/21/87, 5/20/87 (with guests on guitar and sax), 7/11/88 (with a rare Fishman drum solo), 9/24/88 (with “Possum” teases), 3/12/89 (featuring punk jamming with local band Eyeburn), 5/13/89 (dedicated to Syracuse grads), 12/7/89 (ferocious “Jimmy Page”), 7/18/91 (last version until 4/15/94) and 8/15/11 (especially fiery). Finally, don’t miss the version offered by Hot Tuna on Mockingbird’s Sharin’ in the Groove CD.